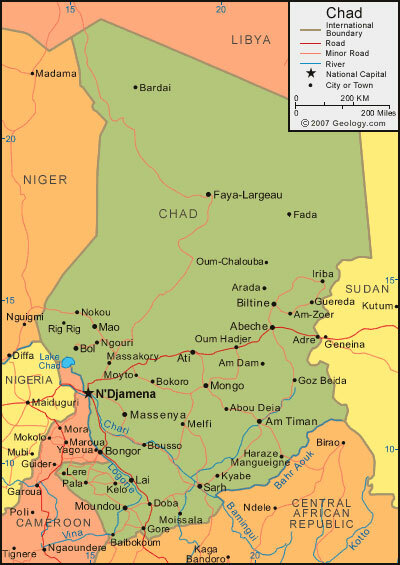 Chad has a population of 10,329,208 people, Chad's capital city is N'Djamena and largest city N'Djamena. 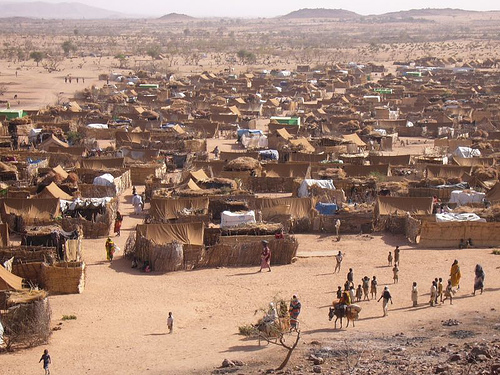 Chad personel income per capita $891 (151st), jobless rate 5.75% and its currency Central African CFA franc (XAF) . 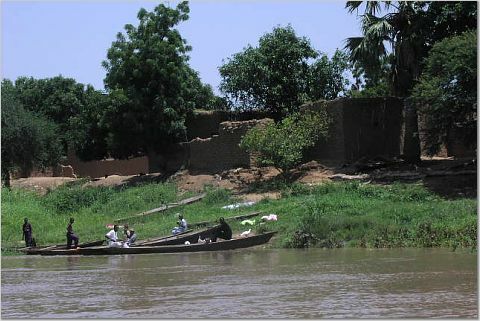 Chad official languages and mostly spoken dialects are French, Arabic, ethnics groups : 27.7% Sara, 12.3% Arab, 11.5% Mayo-Kebbi, 9.0% Kanem-Bornou, 8.7% Ouaddaï, 6.7% Hadjarai, 6.5% Tandjilé, 6.3% Daza, 4.7% Fitri-Batha, 6.4% other, 0.3% unknown. 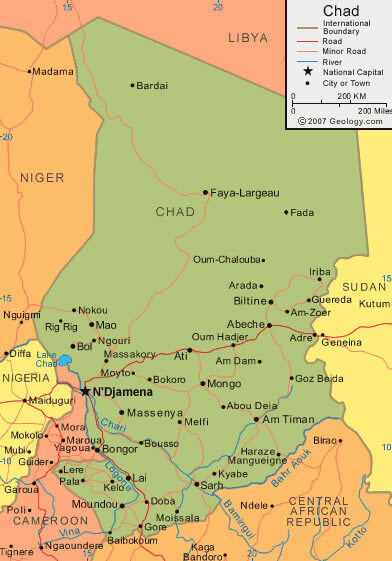 Chad has 1,284,000 km2 (21st) 495,753 sq mi , its GDP (Gross Domestic Product) is $9.344 billion (130th). Chad president Idriss Deby and prime minister Emmanuel Nadingar. Languages : French, Arabic, Ethnicity : 27.7% Sara, 12.3% Arab, 11.5% Mayo-Kebbi, 9.0% Kanem-Bornou, 8.7% Ouaddaï, 6.7% Hadjarai, 6.5% Tandjilé, 6.3% Daza, 4.7% Fitri-Batha, 6.4% other, 0.3% unknown.